A Hastings man was charged over drink-driving yesterday (Sunday, January 3). Adam Jennings, of Priory Road, was arrested in Carlisle Parade and charged with driving with 54mg of alcohol per 100ml of breath in his system. 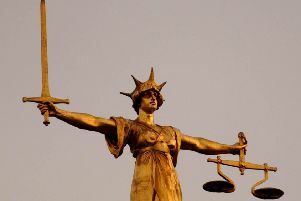 The 29-year-old accountant is due to appear before Hastings Magistrates’ Court on January 20. More motorists were arrested in Sussex on New Year’s Day, immediately following the conclusion of the Christmas 2015 crackdown on drink and drug-drivers. Operation Dragonfly, which ran throughout December, has been hailed a success, with a total of 182 arrests made. But Phil Nicholas, Chief Inspector of the Sussex Police roads policing unit, says he is disappointed that a number of people continue to break the law, putting their lives – and others’ – at risk. “I feel the campaign has been a success in that we have arrested a large number of people who may otherwise have been involved in an accident or ended up causing fatalities on the roads in Sussex,” he said. “However, it is extremely disappointing that some people have not taken heed of the message, as is reflected in the statistics with 21 more people being arrested for drink and drug-driving related offence sin the first three days of 2016 – 10 on New Year’s Day alone. Of the 182 arrests made in December, a total of 27 people have been convicted, and a further 72 have been charged and are due to appear in court. Officers have arrested an additional 21 motorists on suspicion of drink and drug-driving offences since the start of the New Year. Of these, 13 have been charged to appear at court. “Drink and drug-driving is dangerous and it’s antisocial, and we are reinforcing this message by publishing the names of those who are charged and convicted,” Ch Insp Nicholas said. “In doing so, we are discouraging antisocial behaviour and illegal activity, and we hope this acts as a deterrent to motorists. “We have also seen those who are prepared to drink and drive across a broad range of society, from young adults to pensioners, and from the unemployed to working professionals. “No one is exempt from the law. “Ultimately, we want people to realise it’s not worth losing their job or their licence – or their life – for the sake of driving while under the influence of drink or drugs. You can also contact the independent charity Crimestoppers anonymously on 0800 555 111 or visit www.crimestoppers-uk.org.